There is an ARKit demonstration named Portal created by Japanese developer Kei Wakizuka. By touching screen, the portal will appear in the real space in the screen with correct perspective and space distortion effect. Through the portal, there is a digital world, but is an immersive one because the audience can also enter the world, and the real world will be behind the portal. 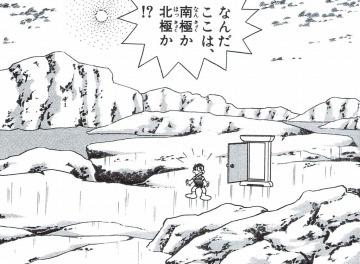 Now there is a variety of similar projects, and most of them are named as Dokodemo Door which is a magical tool in the Japanese manga Doraemon. In the manga, by the Dokodemo Door, Doraemon and his friends can go to anywhere. Most Dokodemo Door projects are based on SLAM technology, for example, ARKit, the reason is if the audience use Image-Recognization-based AR technology, it is not so easy to enter into the digital world because the audience has to hold the device aiming on the image which will be a terrible experience. But I will keep my experience on both technology, there must be more than one possibility as Dokodemo Door. 2.ShowInside.shader, here is the documentation from Unity about how to cull front or back (normally, it is default to cull the back, so you can’t see anything inside a 3D object). A scene with several objects to create spatial sense of hierarchy. Technology Discrimination or something else?